Comando G Mataborricos 2016. 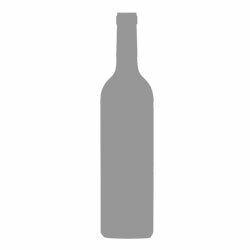 Buy wine from Sin denominación. Red wine Barrel. 12 months in jar. Red wine Oak. 5 months in French oak barrels. Volume: 75 cl. Winery: Democratic Wines. Production area: Sin denominación. Grapes used in this wine: Garnacha Tinta. Red wine Barrel. 16 months in French oak barrels. Volume: 75 cl. Winery: Democratic Wines. Production area: Sin denominación. Grapes used in this wine: Tempranillo and Merlot. Red wine Oak. 4 months in French oak barrels. Volume: 75 cl. Winery: Democratic Wines. Production area: Sin denominación. Grapes used in this wine: Tempranillo. Red wine Barrel. 18 months in French and American oak barrels. Volume: 75 cl. Winery: Democratic Wines. Production area: Sin denominación. Grapes used in this wine: Garnacha Tinta and Tempranillo. Red wine Oak. 4 months in French oak barrels. Volume: 75 cl. Winery: Democratic Wines. Production area: Sin denominación. Grapes used in this wine: Tinto Fino. Red wine Barrel. 12 months in French oak barrels. Volume: 75 cl. Winery: Viñedos del Jorco. Production area: Sin denominación. Grapes used in this wine: Garnacha Tinta. Red wine Barrel Respectful agriculture. 6 months in oak barrels. Volume: 75 cl. Winery: Viñedos del Jorco. Production area: Sin denominación. Grapes used in this wine: Garnacha Tinta. Red wine Aged in wooden tubs Non-certified biodynamic. 9 months in oak barrels. Volume: 75 cl. Winery: Comando G. Production area: D.O. Vinos de Madrid. Grapes used in this wine: Garnacha Tinta. We have 55 in stock and would need 24h to get more.